When I got to work this morning, it looked like snow flurries in my office. They had replaced the sheetrock ceiling and the lights in my office yesterday without covering my desk with plastic sheeting. Why they didn’t, I don’t know, since there was a UNOPENED roll of sheeting right outside the door. So I ended up with a flurry of white dust in my keyboard, printer, and chair. At least they didn’t turn off the power again. On the way home about 3pm, I stopped off at Sundowner Canvas to drop off the big awning I took down yesterday, and pick up the other rear window one, this one on my side of the bedroom. Hopefully I’ll get a chance to put it up this weekend. Two down, two to go. 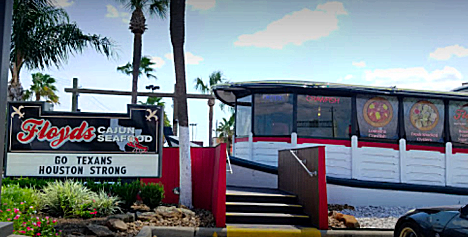 Getting home Jan and I turned right back around and headed into the Clear Lake area to have dinner at one of our favs, Floyd’s Cajun Seafood. 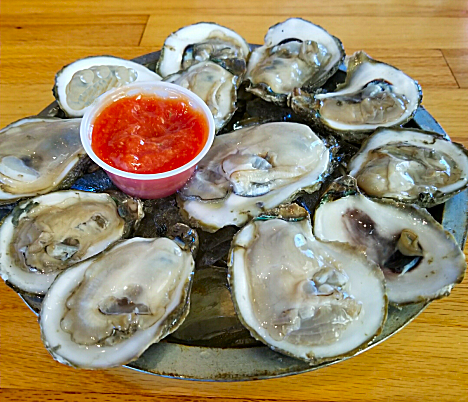 We started off with a dozen raw oysters, and with plenty of chile sauce and horseradish mixed as a dip. 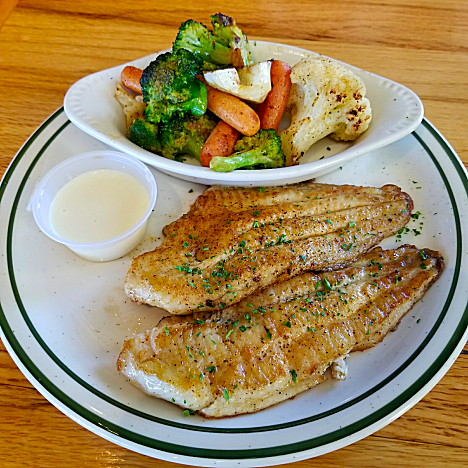 This time Jan went with the Grilled Catfish and Mixed Veggies. Normally these veggies are just steamed, but Jan asked them to throw them on the grill as well. Really delicious, and her new favorite. 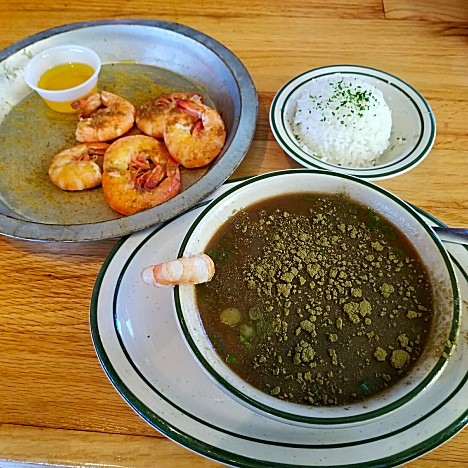 I went with a big bowl of their Shrimp Gumbo. And yes, I like a lot of filé on my gumbo. And then II rounded it out with a 1/2 dozen hot Boiled Shrimp. Really good and spicy. Not sure exactly what’s on the menu for this weekend, or even tomorrow, for that matter. TSA Agents Find Live Cat Packed In Checked Luggage.